Written by Rina T. and Shiho S.
The days are shorter and colder lately, but Tokyo remains vibrant. By the end of February, we see the last of the snow and begin shedding our many layers of clothing. Around Japan, the month features several big-time events, including celebrations like setsubun (traditional soya bean throwing), the lunar new year, and of course, Valentine’s Day. For some runners, February is synonymous with the one and only Tokyo Marathon. Once a year, several thousand runners travel from all corners of the world to run a very special 42.195 in Japan. 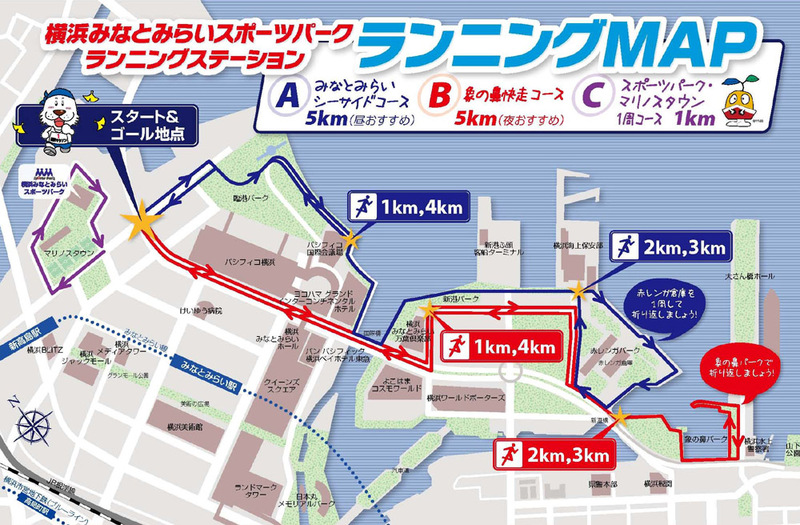 This year, the Tokyo Marathon will be held on Sunday, February 25th. Whether you’re in town for the race or you stumbled here by accident, we’ve researched one of the most popular areas to run in Tokyo – the Imperial Palace. One of the most popular running spots in Tokyo, the Imperial Palace Run or Imperial Run means running the outer circumference of the Imperial Palace. Runners should run anti-clockwise on the course, which is 5KM per lap and suitable for all levels. Night runs are highly recommended for the beautiful views of Marunouchi and Otemachi when coming downhill from Hanzomon. There is no true starting point for the Imperial Run. However, the Sakuradamon clock (桜田門時計台前広場) is a popular spot for runners to gather. Similarly, Takebashi (竹橋) and areas surrounding running stations are common places to start a run. On the outskirts of the course, there are many fashionable cafes, posh eateries, and casual spots to enjoy a post-run meal (or drink). Keep in mind that while the running lanes are wide, you share the space with other runners, slower pedestrians, and faster bicycles. The Imperial Palace run accommodates all levels of runners but it's extremely important to pay attention to your surroundings and have a sense of spatial awareness. During the cooler months, you should expect plenty of runners preparing for marathon season. The evenings and early mornings tend to be more popular for those avoiding the heat of the day during the warmer months. Throughout the year, the Imperial Palace is a mainstay running route for runners in Tokyo. Whether you live here or are visiting town, even just one 5K lap is worth running! The Imperial Palace is a large park-like area that can be accessed from a wide range of metro stations, including Sakuradamon, Hibiya, Nijubashi-Mae, Otemachi, Takebashi, Hanzomon, and Nagatacho. Take exits M4-M7, any of those exits are all close to Imperial Palace. Note that the closest and warmest route is to walk towards M5, through the Gyoko-Dori Underground Gallery, then go all the way to the end and turn left to take the stairs up. A 5 minute walk from the Imperial Palace, the Marunouchi Bike and Run is conveniently connected to Tokyo station. A popular running station for foreign residents and visitors, some staff can speak English. Has sports apparel, running shoes, and towels available for rent (¥200 per item). The Adidas Run Base also boasts a running clinic where running specialists offer one-on-one coaching appropriate for all levels and purposes. Has sports apparel, running shoes, towels and watch available for rent, including Adidas shoes (¥100), jacket + shirt + pants: (¥500), jacket or short or pants (¥300), watch (¥100), small towel (¥100), big towel (¥200).